Jimmy Kimmel is a very funny guy, but he’s dead serious when it comes to advocating for affordable health care for infants and children. His infant son, Billy, underwent his second open-heart surgery a week ago and made a rare appearance with his dad on the show last night. Billy was born in May with a congenital heart disease that will require at least one more surgery. 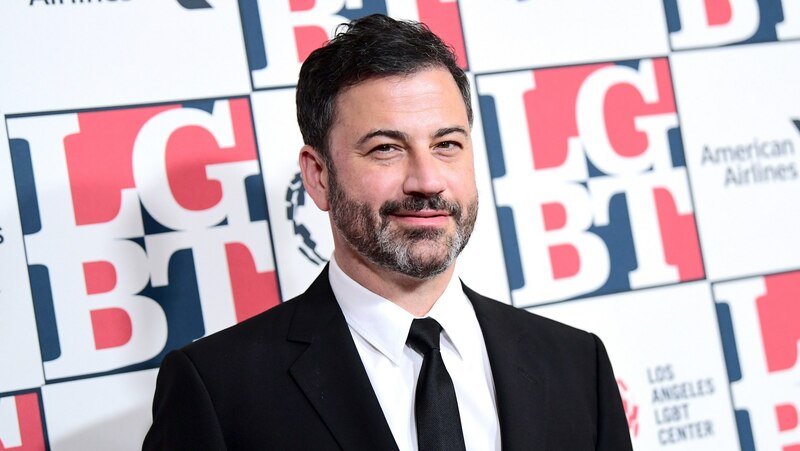 Since Billy’s birth, Kimmel has used his late-night show as a powerful platform to discuss health care issues — especially ones affecting children. A tearful Kimmel — holding a very laid-back Billy — joked, “Daddy cries on TV but Billy doesn’t. It’s unbelievable.” Kimmel then made an impassioned plea to the audience to demand funding for CHIP (Children’s Health Insurance Program), a safety-net health insurance program for children of families of all incomes. The very successful program — two decades old — is in danger of expiring as early as next month thanks to inaction by the current administration. What can be done? Kimmel urged viewers to call Senate and House phones at 202-225-3121 and demand that CHIP funding be reinstated immediately. We can only hope our elected officials are listening — and will finally start putting our kids before themselves.